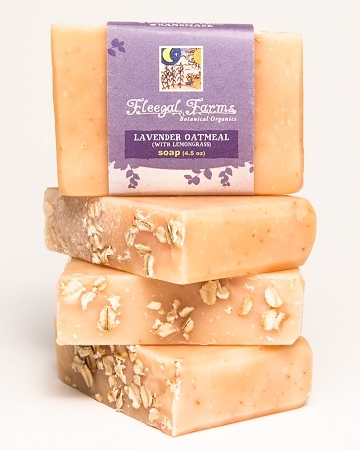 This bar is wonderfully fragrant while not being as perfumey as a traditional lavender soap. 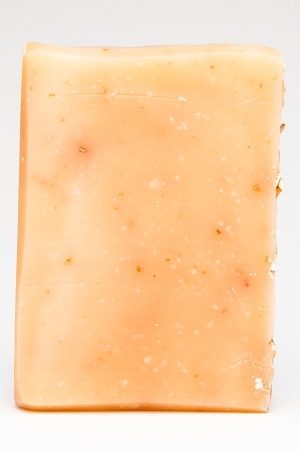 Fresh lemongrass livens up this bar while organic ground oats exfoliate your skin. INGREDIENTS:filtered rain water, saponified oils of olive (olea europaea), coconut (cocos nucifera), and palm (elaeisguineensis), essential oils of lavender and lemongrass, and fresh ground organic oats (avena sativa), essential oils, activated charcoal, alkanet extract (alkanna tinctoria) and natural mineral pigment.